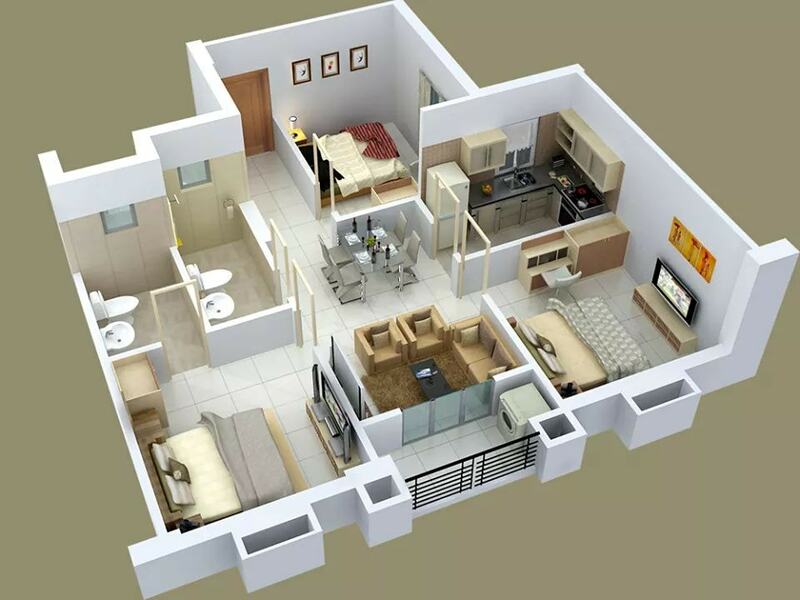 Today it’s easy to make a plan for your future house and furniture place for living in due to the help of the 3D programmes. It’s easier to make a plan when you have internet, computer and a website like this to see amazing ideas for free. Our team is always working to find the best ideas and to show you, doing that for free. 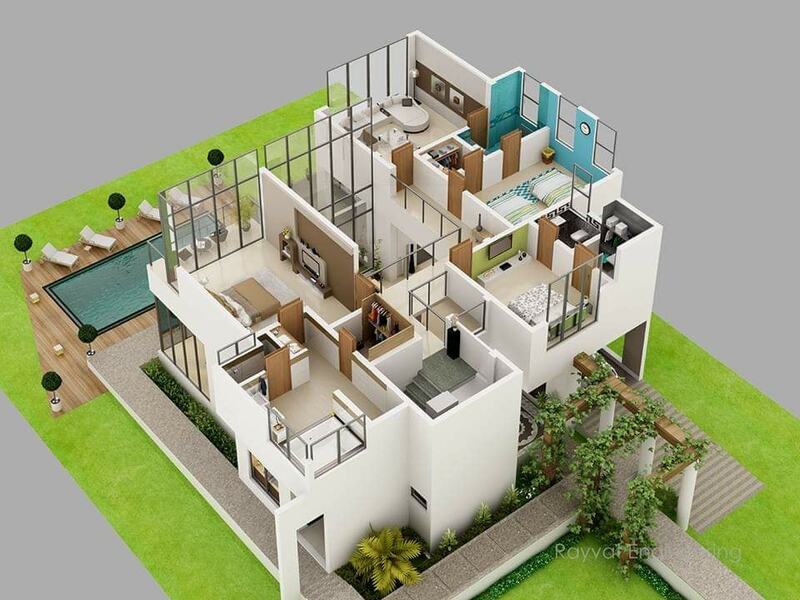 That’s why we have to show you amazing plans and you need to check out these 3D houses that follow next in the photos!!! Starting from the indoor and outdoor stairs and the design of the front yard, you will have the chance to see full design of one nice organization at home. 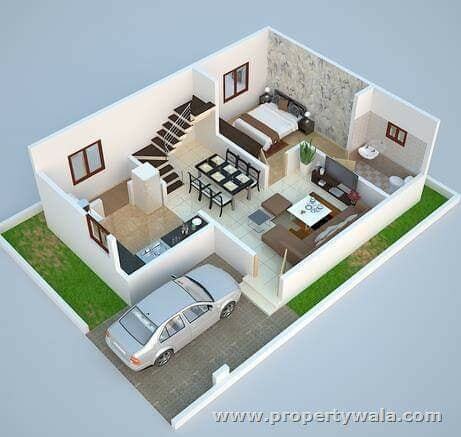 Maybe this is your dreamy house for your future house! YES, or No, tell us in a comment!!! 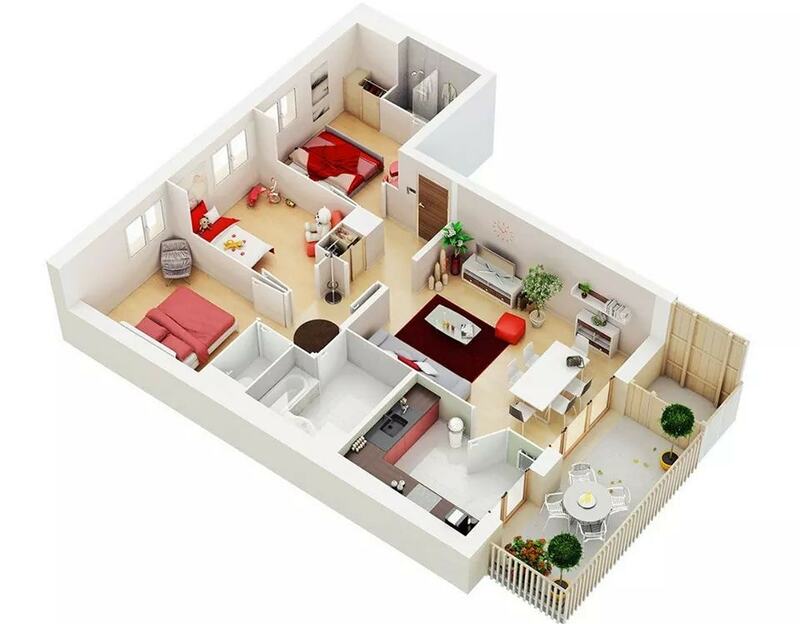 The second plan is also quality idea, as you can see, there is one bedroom ,one living room, one bathroom, one kitchen and there is space for everything! 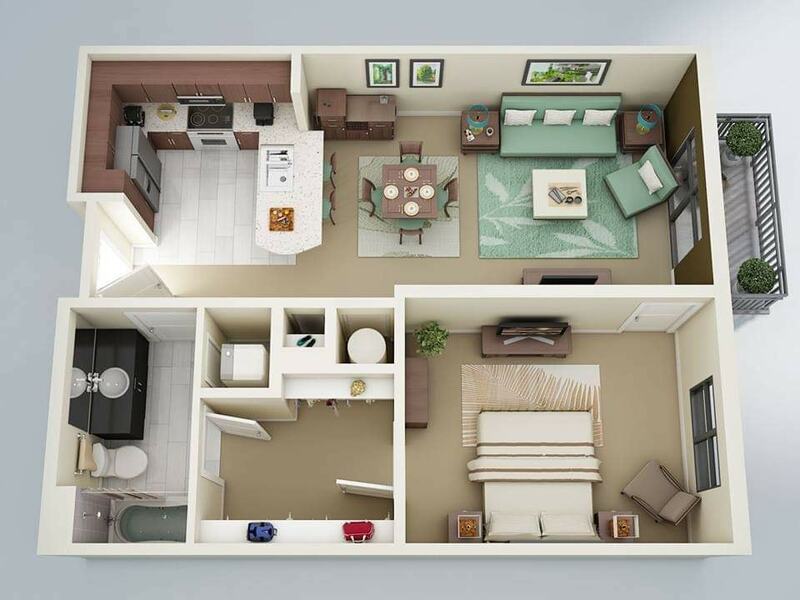 Take a look and see how to organize the rooms from the new house!!! 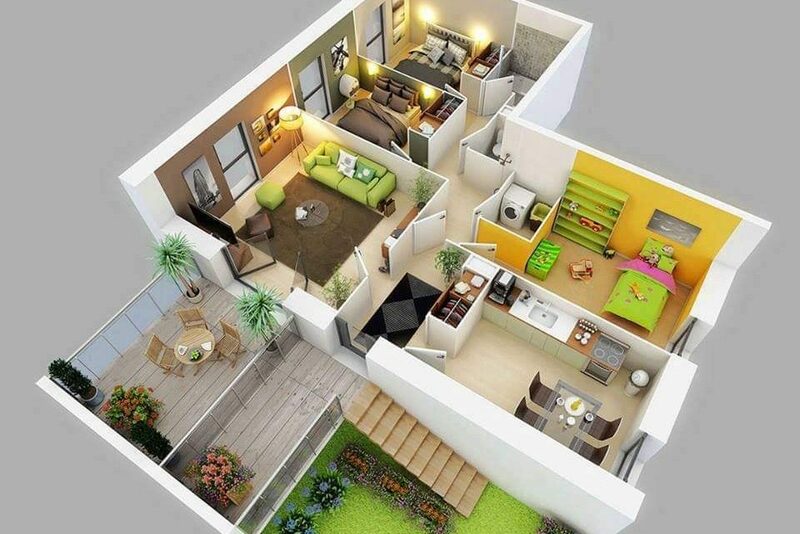 Huge house plan is the thing you can see in the photo below. 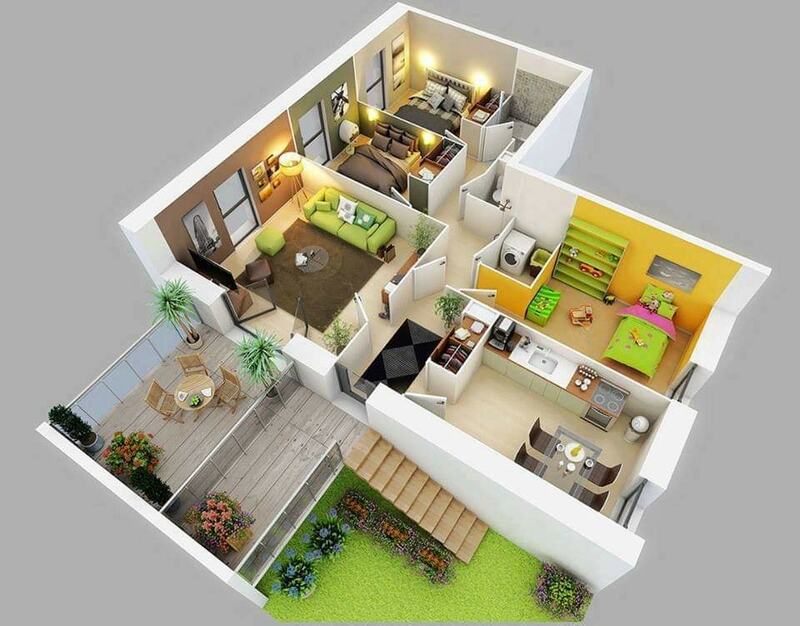 I think that it might be harder to design large houses than to design small houses because here you have more rooms, more space and you need more ideas for making the best organization. In this plan is included one bathroom, three bedroom, one terrace, one kitchen, one toilet and space for every room we need actually. Just see the photo and decide if this is good enough for your style and taste. I think that almost every house owner has also a car and we all need those place for garage in the front part of the house. That’s why we need to think of the garage as a part of our home plan but also to leave space for every room we need to live there. See this design that is extremely smart and good. And, we will finish this post with a large house plan and you will have a task to see something easy for coping in the home place. I think that this is a cool idea for those who have large family members and those with children, there will be a place for every person here. This is the last plan for today, so hope you found useful these ideas. If you already have chosen 3D plan and now you need to choose the modern interior design, come on, see this link that will take you to the most READ post ever, see our amazing living room areas designs, thanks for your time and attention!! !